Newer PostActivity Equivalent on Nutrition Labels – Helpful or Worthless? Who Will Win The 2021 Mr. Olympia? When dealing with a major sport such as soccer or basketball, making predictions about the future is not all that exciting. These sports change very little over the course of five years or so. With a niche sport like bodybuilding however, nothing could be further from the truth. Despite the fact that the top six at the Mr. Olympia is nearly unchanged from five years ago, that is very atypical and represents a trend that will surely fade. 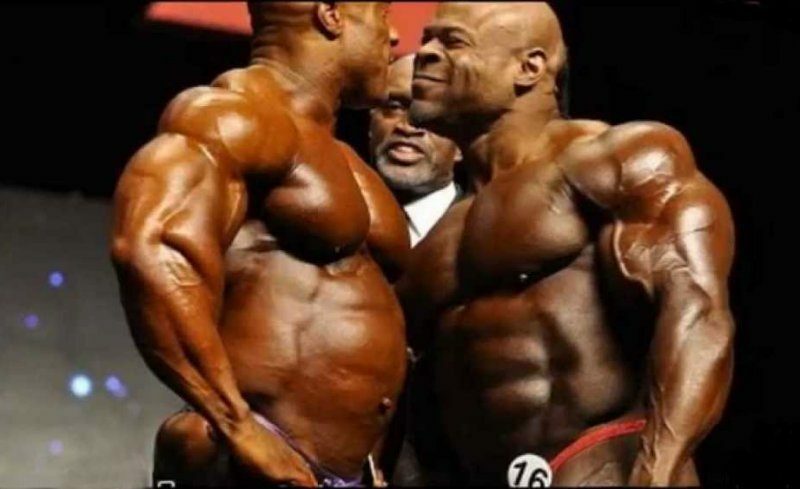 In 2011, the top six at the Mr. Olympia was: Phil Heath, Jay Cutler, Kai Greene, Victor Martinez, Dennis Wolf, and Dexter Jackson. Four of these six men will more than likely be in the top six this year, five years later. The same cannot be said for the 2021 Mr. Olympia, five years from now. For my money, Phil Heath and Big Ramy are the only possible candidates from the current top six who could potentially be in the top six five years from now. The best part about predicting who the top six will be in five years, is just how incorrect I will inevitably be. Based on the 2011 top six, no person on earth would have predicted that Kai would still be Phil’s undisputed number one contender five years later in 2016. That said, the idea that Dexter would place second at the big dance five years after the 2010 Olympia where he placed fourth and was already forty years old, is even more out of this world. So out of this world in fact, that I am hesitant to exclude The Blade from my 2021 top six. Imagine somebody predicting Branch Warren would eventually place second and third at the Olympia way back in 2004 and 2005. Said person would have been laughed right out of town. There has been no shortage of unforeseeable placings in the Olympia top six over the last thirty years or so, and I’m sure when it comes to pass, 2021 will be no different. Based on the information that is currently available, this is how I see the top six at the 2021 Mr. Olympia going down. Sixth Place: Sergio Oliva Jr. It doesn’t look like Sergio will ever follow in his father’s footsteps and win the Mr. Olympia. He is getting into his late thirties by this point and this is his best Olympia placing to date. Sergio’s arms, quads, and structure are all good enough to stand amongst the top three in the world, or even win the contest for that matter. Where he struggles is in the conditioning and thickness departments. Sergio still seems to need more size and thickness, especially when he lifts his arms over his head. Late thirties is not very old in professional bodybuilding, and when you have The Myths blood running through your veins, age truly is only a number. For that reason, Sergio certainly has the ability to move up at this show, but he has a lot of work to do, as well as a few elite bodybuilders who are a decade younger than him who he must get past. That is no short order. Dominick takes fifth place at twenty seven years old. Cardone is not overly short, especially not in this sport, but due to the unbelievable amount of mass he has packed onto his frame, he appears short and stocky next to many of the other top guys. Dominick sports the best legs in the entire show, and despite how densely packed with muscle he is, he still sports one of the smallest waists onstage. He is quite reminiscent of Branch Warren at his best. People loved to knock Branch’s shape and structure, but if you looked closely, Branch had a very small waist and decent taper in his prime years. The exact same thing can be said about this hypothetical version of Dominick. People will say that he was no higher than fifth due to his shape, despite the fact that if you were to pull out the old tape measure onstage, he would more than likely have the smallest waist in the entire top six. It’s hard to imagine Cardone putting on any more muscle than this, but with him sporting superb condition, it’s really the only thing he can do in an attempt to move up. Cody is the new Shawn Ray, or Dexter Jackson if you will. None of his body parts really pop out at you as extremely good or extremely bad. What does jump out at you is his presentation, conditioning, and overall polish. It’s hard to imagine him not being the most polished twenty-six year old bodybuilder ever. While he is not the biggest or most imposing guy in the show, his combination of condition and fullness is absolutely flawless. Cody is still being predicted as a future Mr. Olympia, and for good reason. The only issues with such predictions are the size and shape of Cody’s frame. He has very little room to grow from here, and his waist is already as big as it can be without it hindering his overall look. People said the same thing about Phil Heath back in 2009, and we all saw how that turned out. Hopefully these predictions pertaining to Cody not being able to pack on any more muscle are just as inaccurate as the same ones made about Phil over a decade ago. The fans are not happy about this placing. Most fans, as well as most industry insiders, had Phil finishing fourth or fifth at best in this show, not third. 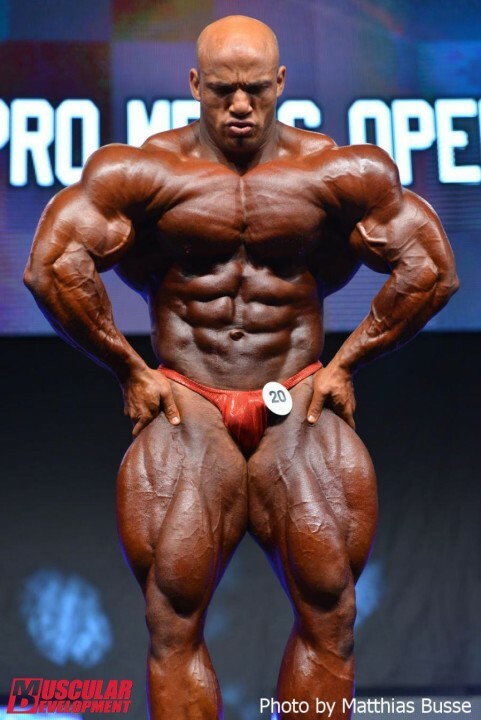 This could very well be Phil Heath’s last contest, and in reality, the 2020 Mr. Olympia a year prior should have been his last contest. While Phil is still getting into fantastic condition and gives any other bodybuilder in history a run in the back double bicep pose, the holder of eight Mr. Olympia titles along with the great Lee Haney and Ronnie Coleman, is not what he used to be. His 2013 version from eight years ago would have possibly won this show, or at the very least place second, void of any controversy. Phil will have a hard time fighting off the likes of Cody Montgomery and Dominick Cardone next year, assuming he decides to compete again. Time has not been overly kind to Big Ramy. Not surprising, as time is generally not kind to guys who are 5’10” and 365 pounds in the off season. Rather, kind to the guy, not guys, as there is only one man who fits these silly dimensions. 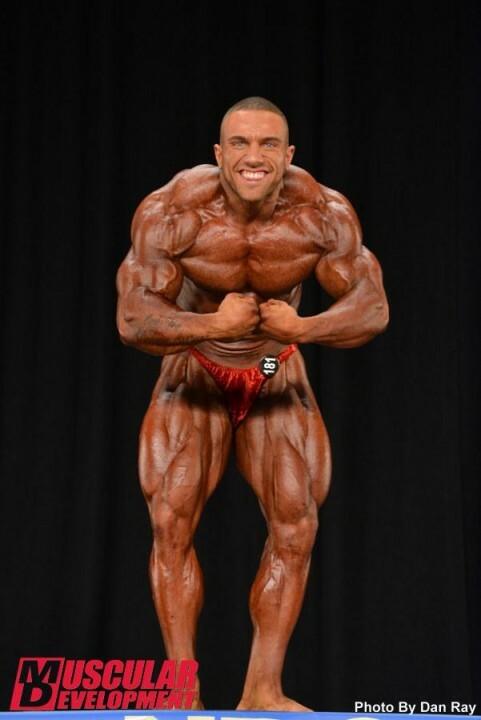 Ramy has placed 2nd at this show several times in recent years. Ramy is still the largest guy on stage, although the gap has closed a bit, he is not as hard as the other guys in the top few spots, but he is in very good condition, and he still has a nice flat midsection. That said, some of his muscles now appear old and/or battered, and his waist has grown slightly wider over time. Standing next to the rest of the top six, Ramy is still the closest thing to a comic book character up there, but his physique looks blocky in some shots and a bit tired as well. Another runner up finish at the Mr. Olympia is nothing to shake a stick at however. 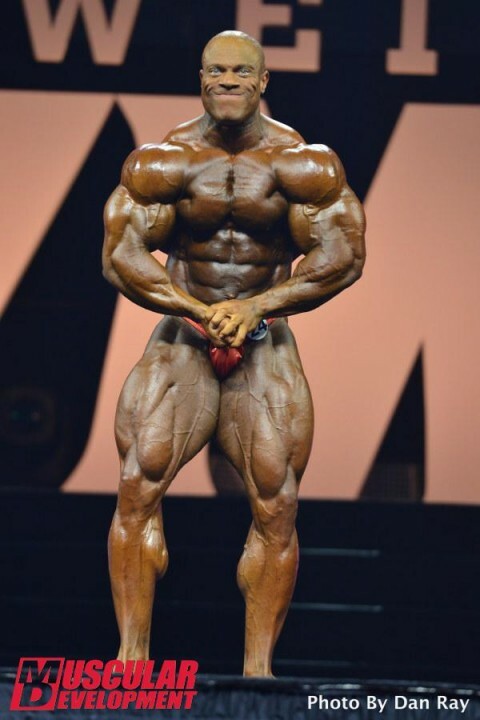 Dallas wins his second Mr. Olympia title, and we are officially in the midst of a brand new bodybuilding dynasty. This show was really not even that close. Dallas appears just as big if not bigger than Ramy, he has better condition, and a tighter waist as well. Dallas’ main future threat might actually come via Cody or Dominick more so than Ramy. While Ramy is technically the second best bodybuilder in the world, he is only there this year because Phil Heath managed to take another step backwards. Ramys second place finish has nothing to do with him getting closer to beating Dallas and everything to do with Phil’s deteriorating physique. Dallas McCarver is essentially Jay Cutler all over again, only a couple inches taller with superior condition. Let the run begin. 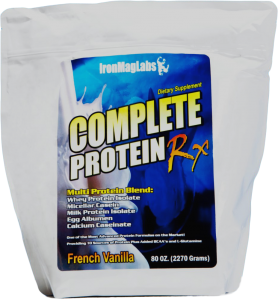 Whey Protein vs Casein Protein – Which One is Superior? Has the Bubble Gut Critic Gone Too Far?